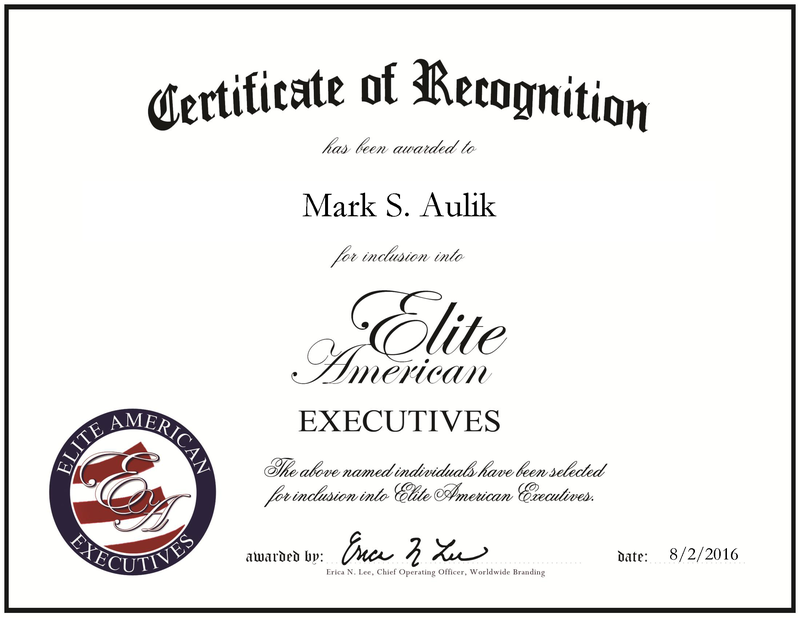 Company: Alloy Hardfacing & Engineering Co. Inc.
Jordan, MN, August 2, 2016, Mark Aulik, Chief Executive Officer of Alloy Hardfacing & Engineering Co. Inc., has been recognized by Elite American Executives, for dedication, achievement and leadership in industrial manufacturing. Alloy Hardfacing & Engineering has passed through the hands of Mr. Aulik’s grandfather and father, making him the third generation in his family to own and operate the industrial equipment business. Like his family before him, Mr. Aulik bears responsibility for accounting, building business relationships, finding applications for new products, conducting international sales and managing the manufacturing unit. He is skilled in the areas of biology, chemistry, psychology and manufacturing, giving him a well-rounded view into leadership and meeting business demands. Alloy Hardfacing & Engineering opened its doors in 1952, and incorporates machining, grinding, fabrication and welding processes to manufactures process equipment for food and food related industries. Mr. Aulik has lead a career that spans more than four decades, with 25 of those years in his current role of CEO. He attended the University of Minnesota for postgraduate coursework in business administration. Mr. Aulik attributes his hard work as the core to his and his company’s success. Looking toward the future, he aspires to facilitate the company’s international growth. On his professional level, he endeavors to move into a consulting role. This entry was posted in accounting, Consulting, Engineering, Management Consulting, Manufacturing and tagged accounting, business administration, business owner, ceo, industrial, industrial equipment, manufacturing, sales. Bookmark the permalink.